Former Metro Rail Transit General Manager Al Vitangcol reveals that after a Senate hearing about the MRT-3, he passed an affidavit of all his knowledge to the chair of the said meeting, Senator Grace Poe which contained all possible corruption surrounding Metro Rail Transit-3 (MRT-3). "Lahat ng sinabi ko, lahat ng pinalabas ko ay itinago po ito at walang nangyari, pero lahat po ito ay dokumentado...Even during the MRT-3 hearing conducted by the Senate as chaired by Senator Grace Poe, binigyan ko po siya ng kopya ng isang affidavit na nagsasaad kung anu-ano ang mga alam ko na nangyari sa MRT-3. Ito po ba ay lumabas sa publiko? 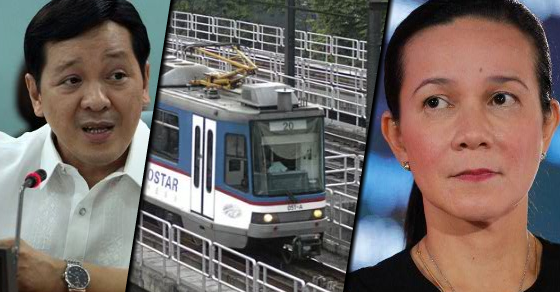 Hindi ito lumabas sa publiko," said the former General Manager (GM) of the MRT. Poe apparently is withholding justice as we speak since she prefers to avoid the topic by leaving the GM hanging. And despite all of the let downs of Senator Grace Poe, Vitangcol is still ready to drop the names of those involved in the corruption surrounding MRT-3, given that he receives legislative immunity from any cases that are posed against him. "Kung ito ay proper body, let's say a proper Senate hearing, tapos tinanong sa akin sasabihin ko: Ito pong si Mr. A ay magnanakaw -- but give me first an immunity bago ko sabihin yan. Lahat ng sasabihin ko during that particular forum walang pwedeng magkaso," Vitangcol added.